The simplest and most powerful PSU design makes the operation of multiple components possible. No matter what combination of components, you've got plenty of power. EasyRail Plus maximizes your power to handle any combination of components. 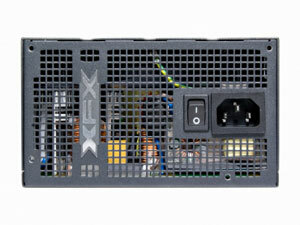 All XFX PSUs can be used to power multi-GPU configuration. As for the models with high Wattage, up to four GPUs can be powered. The series power supply is compatible with Intel 4th generation processors to use the new efficiency features. 80 Plus Certified PSUs are the most power efficient power supplies designed to reduce lost Wattage and reduce your overall power consumption. Also our high quality components ensure that your PSU will stand the test of time. 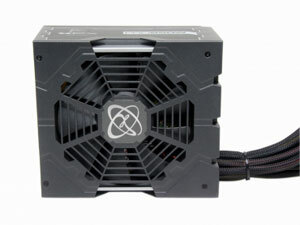 80 Plus Bronze certified means that this XFX PSU has up to 85% power efficiency at typical load. With XFX PSUs, you get nearly every watt you pay for. 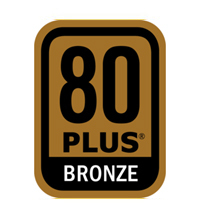 80 Plus (trademarked 80 Plus) is voluntary certification program intended to promote efficient energy use in computer power supply units. The Wattage you see isn't always the Wattage you get. Some brands tweak tests to get great Wattage ratings for their power supplies. The Wattage ratings may be based on unrealistic testing environment like 25?. But in real world situations, their power supplies deliver much lower maximum Wattage. XFX PSUs guarantee the advertised Wattage, even above standard operating conditions at 50?. 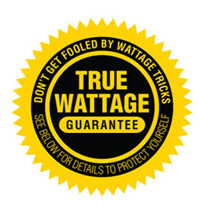 We guarantee the Wattage advertised the the minimum Wattage you get. The internal PC operating temperature is around 77°F (35°C). But the internal PSU temperature can be much higher. 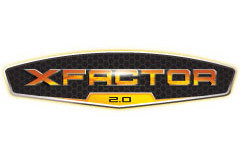 XFX uses all high-quality capacitors rated to withstand temperature of up to 221°F (105°C). 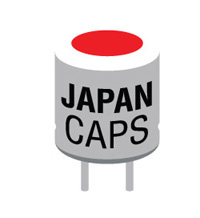 XFX PSU's use high quality extreme heat tested capacitors designed to withstand up to 221°F (105°C) operating conditions, far above normal operating standards. 3.40" x 6.70" x 5.90"
Pros: Worked great for 2.5 years. When it worked, it was a great unit. Cons: Abruptly died after 2.5 years of service. Any substantial power draw off the 6/8 pin vga power plugs causes system to reboot and motherboard to throw power surge warnings. 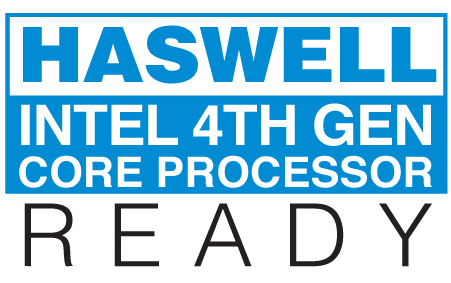 (Tested mobo with a clean rosewill hive 650w and system is stable). Tried to contact XFX customer service. No answer. Tried to email XFX newegg reps. Still no answer. What good is advertising a 5 year warranty if you won’t bother honoring it? 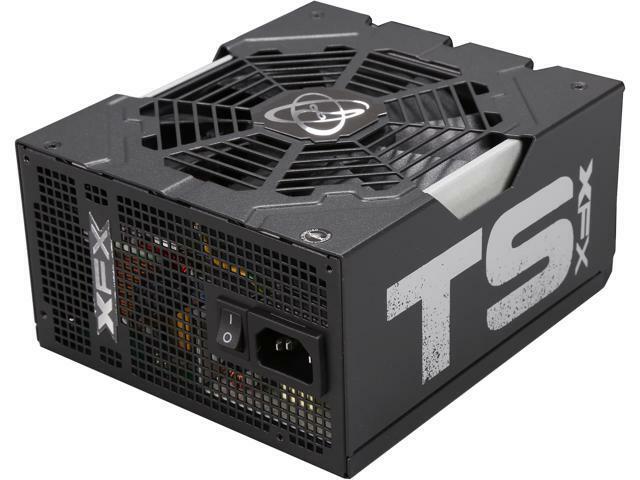 Other Thoughts: For a PSU that’s supposed to be a seasonic oem unit, its durability is extremely lacking. I have $20 corsair units still running after 5 years and reddit would have you believe they will burn your house down. Whereas I got a “Tier 2” unit here off the much quoted PSU ranking list, and it doesn’t even survive half its warranty period. I don’t know if XFX pulled out of the western hemisphere but their customer care is laughable. You are better off just buying a $20 2-3 year warranty unit and just be ready to chuck it in that timeframe than spend 3x as much and get the same functionality. Pros: Not loud at all. My case and cpu fans are louder than this PSU so tell these guys to stop dropping stuff into the psu and breaking it lol. 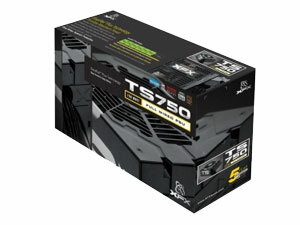 My rig has alot in it and uses alot of power so i dont know how much it benifited from this PSU power saving ability but im sure without it my electric bill would have probably been higher. Great for expanding rig overtime. Cons: yeah lot of cables. Dont buy unless you have a full size case. Other Thoughts: Have had this PSU for over 5 years so needless to say it is out of warranty. It has been offering me no problems but I decided to overclock recently to get full performance of my ram and I am noticing voltage drops when the rig is attempting higher performance and even video card crashed . Not sure if the PSU needs to be replaced or if i can move the load to resolve this issue. But even if i have to replace it essentially it served its years but i am still hopeful to get more service out of it. Cons: -Cables are rather stiff, but that can be fixed with a little manhandling. Make sure you have a large enough case, as it is not modular and cramming the cables is not easy due to the stiffness. If you want a modular PSU, it's not hard to find one. Other Thoughts: Overall, I am very satisfied. Not a very expensive unit and have had no issues with it to date. Thank you for the great review! We are happy you are pleased. 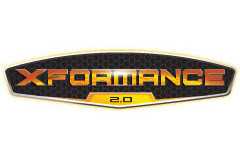 If you have any questions for us here at XFX, please visit xfxsupport.com or email us at Neweggsupport@xfxforce.com. Pros: It provides enough power for most video cards and has enough PCI-e connectors for AMD cards. Had it for almost 4 years and it's still going strong. Pros: -750 Watts, enough for any single GPU build. -High quality parts, no surges, no failures. -Amazing customer service. See Other thoughts. Cons: -Not modular. But that's an obvious one. Make sure your case is big enough to handle a few extra cords. Not enough of a problem to lose an egg over. Other Thoughts: When I bought this PSU it was on a shell-shocker deal with a $30 mail-in-rebate, so the total cost was only $35. It was the first time I'd filled out an M-I-R for a computer part, but XFX customer service was great. The estimate to receive my rebate was 10-12 weeks, but I got my rebate after about 6 weeks. I've had no problems with it so far whatsoever. Overall I'm really pleased with my XFX experience so far. I think I'm going to go with XFX in the future more often! Other Thoughts: This thing is great. It has a lot of connectors which can be good or bad. Good if you have space in your case and need the plugs. Good for future expansion options. Bad if you have a small and tight case. One thing you won't find mentioned anywhere is that this thing saved me 15 watts of power. With a machine that is on 24/7, this means it's cheaper to run. My dell 3847 stock power usage was 62 watts at idle (kill-a-watt measurement). I changed out the stock power supply and put this one in there and power went down to 47 watts at idle and stayed there. In California, 15 watts of continuous power costs me $25 per year. So this power supply now saves me $25 per year off my electric bill! It's a keeper for sure. Cons: Only lasted about 3 hours before it dropped a wire into the fan. Other Thoughts: The psu worked pretty well during the initial setup, but after I tied down the cables and turned it back on there was a grinding noise coming from it. After digging around a bit I found a loop of wire inside the psu that had relocated itself to in between the blades of the fan. I pulled it out and replaced it with a corsair.